Today, PlayStation Home will be getting an update adding several new features to the online world. The biggest of these features is the Warhawk Command Center (or Game Space). The Command Center will allow gamers to discuss the game, strategize their next attack (using the interactive sand table), and launch directly into the game. Once the Game Space is live, Sony will be hosting a launch party at the Command Center so drop by if you can. 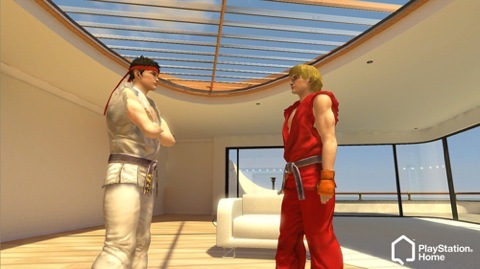 In other changes, some Street Fighter IV clothing will be integrated into Home too. Items can be unlocked when you perform certain actions in the game. Gamers will be able to get their hands on Chun Li, Ryu, Guile, and Ken costumes.